The Desert Museum has not conducted a formal study of the animals of southeastern Sonora. However, Museum biologists are general natural historians and have seen many animals on hummingbird and plant trips that are interesting ecological or distributional records. Observations of live and dead animals were documented with color photographs and local residents were interviewed about the local fauna and Spanish common names along the Tónichi-Yécora hummingbird observation transect as part of the Migratory Pollinators Project (see Hummingbird Plant Foods below). The tropical deciduous forest (TDF) supports a wonderfully diverse fauna ranging from the charismatic tigre (= jaguar, Felis onca; Caire 1978, Brown and López 2001, Schwalbe and Lowe 2000), black-throated magpie jay (Calocitta colliei), lilac-crowned and white-fronted parrots (Amazona finschi, A. albifrons; Russell 2000, Russell and Monson 1998) to a myriad of insects and other invertebrates including a freshwater crab (Pseudothelphusa sonorensis) and a prawn (Macrobrachius sp.). 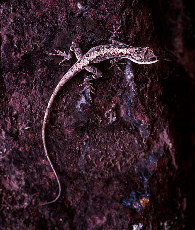 Interesting reptiles in tropical deciduous forest include the clouded anole (Anolis nebulosus), Sinaloan milk snake (Lampropeltis triangulum sinaloae), filetail ground snake (Sonora aemula), indigo snake (Drymarchon corais), Mexican short-tailed snake (Sympholis lippiens), blunthead tree snake (Imantodes gemmistratus), the Mexican moccasin/ pichecuate/cantíl (Agkistrodon bilineatus; Van Devender and Conant 1990), and Mexican west coast rattlesnake (Crotalus basiliscus). 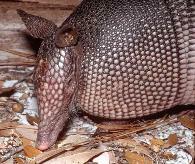 The nine-banded armadillo (Dasypus novemcinctus) reaches its northwestern distributional limits in TDF. Some animals found in TDF range into other habitats. TDF animals that are also found in thornscrub and the Sonoran Desert include the lowland burrowing treefrog (Pternohyla fodiens), Sinaloan narrow-mouthed toad (Gastrophryne olivacea mazatlanensis), Mazatlán toad (Bufo mazatlanensis), desert tortoise (Gopherus agassizi; Bury et al. 2002), regal horned lizard (Phrynosoma solare), boa constrictor (Boa constrictor), night snake (Hypsiglena torquata), tiger rattlesnake (Crotalus tigris), and others (Schwalbe and Lowe 2000). In some animals like the long-nosed snake (Rhinocheilus lecontei), the TDF-thornscrub transition is an intergrade zone between TDF and thornscrub-desertscrub subspecies. In the lyre snakes two well marked species (Trimorphodon tau and T. biscutatus) hybridize freely at the TDF-thornscrub transition. The venomous escorpiones (Helodermatidae) are the only venomous lizards in the world. In southern Sonora, the beaded lizard (Heloderma horridum) is replaced by the Gila monster (H. suspectum) the TDF-thornscrub transition. Cold-tolerant tropical animals: A surprising number of warm-loving tropical animals have been seen at higher, colder elevations in the Yécora area in the Sierra Madre Occidental in eastern Sonora including spotted box turtle (Terrapene nelsoni), green rat snake (Elaphe triaspis), and neotropical whipsnake (Masticophis mentovarius). The west Mexican coral snake (Micrurus distans) and the western coral snake (Micruroides euryxanthus) also occur in oak woodland/grassland near Maycoba. The barking frog (Eleutherodactylus augusti) as well as coatimundi/cholugo (=chulo, solitario, Nasua nasua), ringtail (Bassariscus astutus), and collared peccary/jabalí (Tayassu tajacu) were seen up to in pine-oak forest at 2200 m elevation on Mesa del Campanero (Davis 1982, Harris 1985, Hofmeister 1986). Since the completion of MEX 16 in 1992, many tropical and desert plants and animals have been expanding their ranges upward into oak woodland and pine-oak forests along the highway including the Sonoran desert toad (Bufo alvarius) at Rancho La Palmita. The rock horned lizard (Phrynosoma ditmarsi) is a rare endemic Sonoran species that was only known from oak woodland habitats in the Río Sonora Valley in northern Sonora (Stejneger 1906, Lowe and Howard 1975, Lowe et al. 1971). In 1983 Bob Perrill in the Botany Department at the Museum photographed one in tropical deciduous forest at Rancho La Mula on MEX 16 southeast of the Río Yaqui (Perrill 1983). The Tarahumara frog (Rana tarahumarae) which also lives at Rancho La Mula is a plunge pool specialist that lives in rocky stream canyons in tropical deciduous forest, oak woodland, and pine-oak forest in northwestern Mexico and formerly southern Arizona. The Mexican wolf (Canis lupus baileyi) once ranged from southeastern Arizona to western Texas and southward in the Sierra Madre Occidental to Mexico City. The last wolves killed in the Yécora area were in tropical deciduous forest at Rancho La Mula in 1981 and in pine-oak forest on Mesa del Campanero in 1966 (McBride 1980, Miller and Kellogg 1055, Nowak 1974, Siminski 2002). 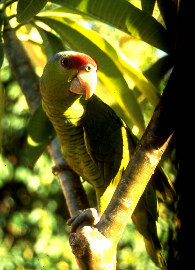 Woodland and forest fauna: A number of animals are primarily found in the woodlands and forests of the Sierra Madre Occidental above the tropical lowlands. Some of them are Mexican species while others also occur in the Madrean sky island ranges in southeastern Arizona, or are more widespread in the southwestern United States. The pine-oak salamander (Pseudoeurycea bellii sierraoccidentalis) is a very rare salamander described from about 21 km west-southwest of Yécora old the old road to Santa Ana (Lowe et al. 1968, Van Devender et al. 1989a, 1989b). Other Sierran animals include the Madrean green tarantula (Aphonopelma moorei; Smith 1994), pine toad (Bufo occidentalis), Mexican toad (B. microscaphus mexicanus), mountain treefrog (Hyla wrightorum), Sierra Madre horned lizard (Phrynosoma orbiculare), short-horned lizard (P. hernandesi), Madrean alligator lizard (Elgaria kingii), bunch grass lizard (Sceloporus scalaris), striped plateau lizard (S. virgatus), and four-lined skink (Eumeces tetragrammus callicephalus). 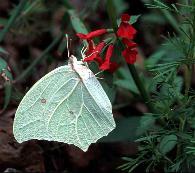 Other species that are common in the Sierra Madre Occidental in western Chihuahua and eastern Sonora are widespread to the north in montane or other habitats. The Mexican gartersnake (Thamnophis eques) is found Oaxaca north to southeastern Arizona and adjacent New Mexico. 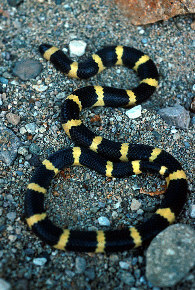 The mountain kingsnakes (Lampropeltis pyromelana) brightly-colored red or orange montane snakes whose color patterns are quite variable locally and geographically, complicating the recognition of subspecies (Tanner 1983, Woodin, no date). Some species like the gopher (Pituophis melanoleucus) are widespread across the continent with many geographical subspecies, including ones in the Sierra Madre (Lowe and Van Devender 1977). Rattlesnakes are always fascinating. The forests and woodlands of the Sierra Madre Occidental and the Madrean Sky island mountains in northeastern Sonora and southeastern Arizona are well known rattlesnake hotspots. The dark brown Madrean black-tailed rattlesnake (C. molossus nigrescens) is the large víbora de cascabel in the Sierra Madre in eastern Sonora and western Chihuahua. The small montane species of rattlesnakes (Crotalus lepidus, C. pricei, and C. willardi) are called chichámoras in the Yécora area in eastern Sonora. Brown, D. E., and C. A. López G. 2001. Borderland Jaguars. Tigres de la Frontera. University of Utah Press, Salt Lake City. Bury, R. B., D. J. Germano, T. R. Van Devender, and B. E. Martin. 2002. The desert tortoise in Mexico. Distribution, ecology, and conservation. Pp. 86-108 in T. R. Van Devender (ed.) The Sonoran Desert Tortoise. Natural History, Biology and Conservation, University of Arizona Press, Tucson. Caire, W. 1978. The distribution and zoogeography of the mammals of Sonora, Mexico. Ph.D. diss., University of New Mexico, Albuquerque. Davis, G. P., Jr. 1982. N. B. Carmony and D. E. Brown (eds.). Man and Wildlife in Arizona: The American Exploration Period 1824-1865. Arizona Game And Fish Department, Scottsdale, Arizona. Harris, A. H. 1985. Late Pleistocene Vertebrate Paleoecology of the West. University of Texas, Austin. Hoffmeister, D. F. Mammals of Arizona. University of Arizona Press, Tucson. Lowe, C. H., and C. W. Howard. 1975. Viviparity and reproductive pattern in Phrynosoma ditmarsi in Sonora, Mexico. The Southwestern Naturalist 20:265-270. Lowe, C. H., and C. W. Howard. 1971. A population of Phrynosoma ditmarsi from Sonora, Mexico. Lowe, C. H., C. J. Jones, and J. W. Wright. 1968. A new plethodontid salamander from Sonora, Mexico. Contributions in Science, Los Angeles County Museum of Natural History 140: 1-11. Perrill, R. H. 1983. Phrynosoma ditmarsi. Herpetological Review 14:123. Russell, S. M. 2000. Birds of the tropical deciduous forest. Pp. 200-244 in R. H. Robichaux and D. A. Yetman (eds.) The Tropical Deciduous Forest of Alamos, University of Arizona Press, Tucson. Russell, S. M., and G. Monson. The Birds of Sonora. University of Arizona Press, Tucson. Schwalbe, C. R., and C. H. Lowe. Amphibians and reptiles of the Sierra de Alamos. Pp. 172-199 in R. H. Robichaux and D. A. Yetman (eds.) The Tropical Deciduous Forest of Alamos, University of Arizona Press, Tucson. Siminski, D. P. 2002. International studbook for the Mexican gray wolf (Canis lupus baileyi). Arizona-Sonora Desert Museum, Tucson, AZ. Stejneger, L. 106. A new species of Phrynosoma from Mexico. Proceedings of the U. S. National Museum 29:565-567. Tanner, W. S. 1983. Lampropeltis pyromelana (Cope). 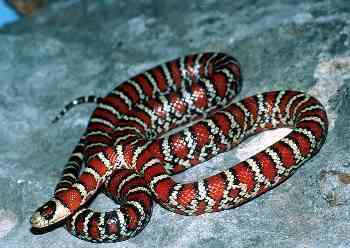 Sonoran mountain kingsnake. Catalog of American Amphibians and Reptiles 342:1-2. Van Devender, T. R., and R. Conant. 1990. Pleistocene forests and copperheads in the eastern United States and the historical biogeography of New World Agkistrodon. Pp. 601-614 in H. K. Gloyd and R. Conant, Snakes of the Agkistrodon Complex: A Monographic Review. Society for the Study of Amphibians and Reptiles Monographic Series, Oxford, Ohio. Van Devender, T. R., C. H. Lowe, and H. E. Lawler. 1994. Factors influencing the distribution of the neotropical vine snake Oxybelis aeneus in Arizona and Sonora. Mexico. Herpetological Natural History 2:27-44. Van Devender, T. R., and C. H. Lowe. 1977. Amphibians and reptiles of Yepómera, Chihuahua, Mexico. Journal of Herpetology 11:41-50. Van Devender, T. R., P. A. Holm, and C. H. Lowe. 1989. Pseudoeurycea bellii sierraoccidentalis (pine-oak salamander). Life history notes; habitat. Herpetological Review 20: 48-49. Van Devender, T. R., C. H. Lowe, and P. A. Holm. 1989. Pseudoeurycea bellii sierraoccidentalis (pine-oak salamander) .Geographic distribution. Herpetological Review 20: 48-49. Woodin, W. H. 1950. Notes on Arizona species of Thamnophis. Herpetologica 6:39-40. Woodin, W. H. No date. Ecology and geographic variation of the Arizona mountain kingsnake. Unpublished manuscript. * Department of Ecology and Evolutionary Biology, University of Arizona, Tucson.